efficient lighting is needed most. CPP customers, check your mailbox for these coupons! Customers of Cleveland Public Power will receive $26 of coupons that may be redeemed for at least 14 CFLs. 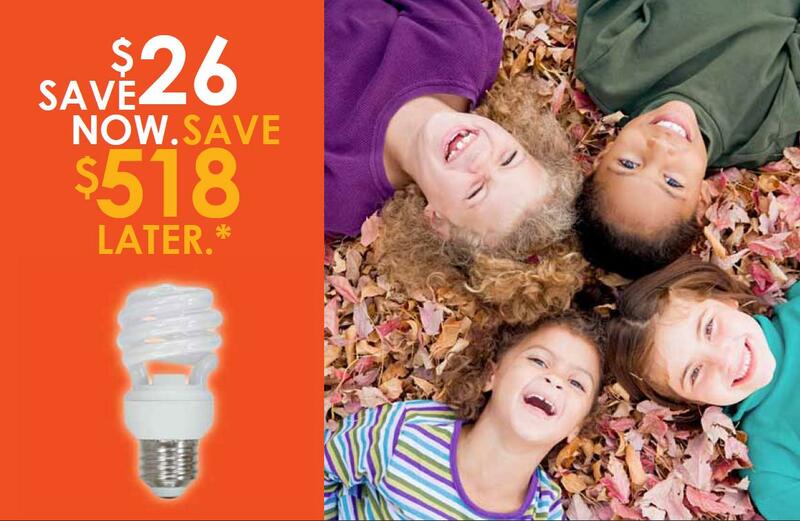 By replacing 14 incandescent lights, customers can save up to $518 over the life of the bulbs. The coupons will be accepted at any store that has GE brand CFLs in stock and that accepts manufacturer coupons. A list of participating stores can be found in the home lighting section of the www.EfficiencySmart.org website. Utility customers can expect to receive the coupon mailing during the 1st or 2nd week of November. The offer will expire on December 31, 2011. Efficiency Smart also provides a guide to help consumers choose the right light for the right location on their website www.efficiencysmart.org. To learn more about Efficiency Smart initiatives to help customers save money and energy, visit the website, or call Efficiency Smart customer support at 877-889-3777. Efficiency Smart services include rebates for energy-efficient appliances and lighting, financial rebates and free removal of old, inefficient refrigerators and freezers from homes, and rebates for over 70 energy-efficient products and services for businesses. Efficiency Smart also offers account management services and customized incentives for large commercial and industrial customers. Efficiency Smart was established by American Municipal Power for the benefit of its member communities. It is administered under contract with the Vermont Energy Investment Corporation. Operations are based in Columbus, OH. why is my energy adjustment charge so high?